A member of staff said to me at INSET last Friday that all they wanted from INSET was to take away at least one idea to make their teaching better or their lessons more exciting. I agree and this was my favourite idea: a pop-up museum. This came from an inspirational talk from Mandie Haywood, a headteacher from a primary school in Telford. Not only did her school sound like a great place to work – always reinventing the curriculum to make it relevant to today’s learners – but their lessons and activities sounded like so much fun and reminded me why it was that I had chosen to become a primary school teacher. Also they make incredibly good music videos, like they did with this one to celebrate Tim Peake’s space adventure. For a lesson with some element of investigation and research, where pupils are being asked to learn about something they haven’t previously had experience of, this is ideal. Create small groups within the class, who will create their museum exhibits together. Provide each group with an envelope with a few key ideas, pieces of information, maybe a website or an image to investigate further. Each group are given a tablecloth and have access to tools and resources to create museum exhibits based around their topic. Time is provided for pupils to research – maybe using tablets or the web to gather more information. Alternatively books or pre-printed information from the web can give groups a head-start. Once pupils have become ‘experts’ at their topic and they have made any exhibits they want to, they arrange their items on their table. As each table has a different set of exhibits, you have in no time at all, created a pop-up museum. Pupils are then free to browse the museum, reading the information and looking at the exhibits at each table. Maybe QR codes could be used to link to additional information about the topic. Use homework or projects to provide additional time for this project. Write recounts of their ‘visit’ to the museum. Perhaps even open it up to different year groups or classes. Other year groups could also create their own pop-up museums at the same time so that the entire school are able to experience a wide range of topics. In my teaching, I always seek to facilitate learning and increase independence. I like to promote teamwork within the class and I like pupils to have the opportunity to learn for themselves, not just find out answers when I stand at the front of the room and tell them. After all, what’s the point in that? In order to do this successfully and avoid passive learning, you have to provide the right environment and resources. We live in a technological world and the current pupils we teach are all too happy to simply ask the web for the answer to a problem without really thinking for themselves. Whilst I am not in any way against technology (I am head of computing and am a keen advocate for the use of technology in lessons), I want pupils to at least have the chance to think for themselves, communicate with their peers and attempt to solve problems before asking Google. In one activity I taught this week, I wanted my class to order the main periods in British history from the Bronze Age to the current day. I could have just given them a sheet with this information on, but what would the likelihood be of any of them being able to recall these facts later on that day, let alone next week? Highly unlikely I thought! Each group were given a set of historical period cards. I gave them a period of time to discuss with their group the order they thought the cards belonged in. Each table ordered the cards after coming to a consensus with the members of their group. I asked each group which time period they believed was first and last. We found that we had a consensus here – a good start! I then asked which period came after the Bronze Age – here we had vastly differing opinions amongst the groups. At this point, rather than giving them the correct order, I gave each group a tablet computer and an extended period of time to find the correct order. This encouraged teamwork and those who worked effectively with their peers ended up with more cards in the correct order than those who had struggled. (If you don’t have access to computers, the information could be provided in the form of text books or information from the web printed and placed around the classroom.) Whilst some pupils chose to search each time period individually, those who chose to search instead for an online timeline of these periods found the answers to their problems more speedily. Once the time was up, we went through the order together as a class. Those who had any cards in the wrong places were encouraged to move the cards around so as to have a full set of cards in the correct order. The pupils enjoyed this activity and several days later, when I asked them to recall the correct order, collectively they were able to do this. By creating activities that are memorable and involve discussion with peers and pupils actively participating in the learning, it makes sense that the learning ‘sticks’. One of my favourite tools to do this is the Class Dojo app – an online reward system. I edit the rewards to promote teamwork and make sure that the app is visible on my board during these types of activities. Additionally, I use raffle tickets to reward characteristics of learning, such as teamwork or independence, depending on its suitability to the activity. The children we teach are constantly surrounded by technology. They are used to finding out instantly what they want to know at the touch of a button, as most of them will have a smart phone or tablet to hand. QR (quick response) codes can be used effectively to engage pupils, who may prefer to engage with their phones and social media as opposed to their work, especially for homework. Some teachers may find the idea of introducing QR codes into their teaching as daunting, or perhaps even unnecessary, but when you consider how easy they are to generate, combined with the high interest from pupils that they generate, I would recommend their implementation as a fantastic way of increasing engagement in learning. A QR code is like a bar code and it contains information. You can easily generate your own to show information you want them to see. When they are scanned by someone (a pupil) that information will be displayed to them. There are plenty of websites that allow you to create your own QR codes. I use http://goqr.me/ but there are many other alternatives. I tend to use QR codes in two ways: to take a pupil to a website and to display a piece of text. You can add printed QR codes to your displays to link to class blogs or additional information. Additionally, they can be used as a way of increasing engagement and communication with parents by displaying QR links to topics being studied in class. You could send home printed QR codes of these topics to parents if your classroom environment or school routines (e.g. maybe parents don’t wait by the classroom to collect their child) prevent you being able to display the QR codes in a place easily accessible to parents. If you are fortunate enough to have access to a class set of iPads or tablets, or your school allows pupils to use their own devices, then a simple QR scanner app would mean that you could introduce QR codes into your lessons, instantly making them seem more appealing to pupils. You could be setting what could be seen by many as a fairly mundane task, e.g. answering questions, but the technology element would elevate its interest to your pupils. You may have heard of QR treasure hunts, where pupils answer questions from QR codes around the school. 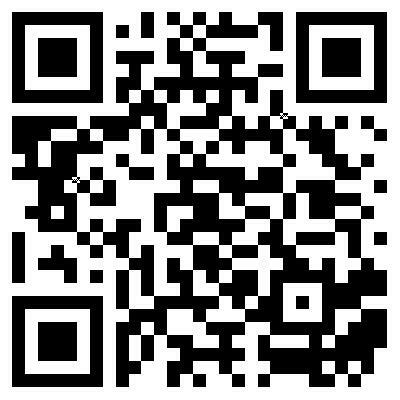 Websites like this: http://www.classtools.net/QR/ make a QR treasure hunt an easy lesson to organise. The most time-consuming element would probably be putting the QR codes up around the school! Adding a small incentive for completing the task first, (e.g. house points, raffle tickets or something that fits in with your own school’s behaviour system) you may find that pupils who would normally struggle to complete tasks, will be more successful in this activity due to its competitive nature and the added element of moving around the school. You can use QR codes in a similar way to how you would in a lesson. One way would be to give them a sheet with printed QR codes that lead to questions being displayed. They then bring their answers back to school or write them on an answer sheet that you provide them with. I find that pupils are much more likely to visit a website that I provide to them in the form of a QR code, than as a URL. You avoid typos this way and the time spent in accessing the homework is reduced (something that will also appeal to your pupils!). Sometimes I produce a sheet of QR codes that lead to additional websites that aren’t necessary to complete the task but are related to the topic we are learning about. I find pupils are more likely to engage with this additional information when they can scan it on their smart phone and browse at their leisure than if I give them a list of websites. If you provide a list of websites, pupils will have an idea from the URL what it is you are asking them to access. However, if you provide a sheet of QR codes with no additional information about where they lead, they will be far more likely to visit all of them, therefore engaging with far more material than they might initially choose to. If you are in an environment where you are able ‘flip the classroom’ (supportive parents, engaged children, home access to internet etc. ), you may find the use of QR codes a useful tool. You could generate QR codes that link to videos, photographs, websites or texts and if not providing a hard copy of these to your pupils, you could always add the QR codes to your school’s VLE (if you have one) so that they are stored for future use. More exciting than learning from text books! I recently read an article by Doug Belshaw (5 ways to make’ textbook lessons’ more interesting) which made me think about what I do in my classroom. Text books contain a wealth of information that shouldn’t be overlooked. A more ‘old-style’ way of learning (‘turn to page 27 and answer all the questions’) can be turned into a far more exciting experience with a competitive element. You can do this type of activity with any subject. I have used it in Science, History, Geography, RE and reading comprehension (making answering mock SATs reading questions more interesting). To make this activity more competitive, provide the questions one at a time and reinforce the idea that they can’t have the next question until the first is correct. I take questions (perhaps from text books; perhaps some of my own) and have a set of them for each group cut up so that each question can be handed out individually. I also tend to have the questions on brightly coloured card (partly because I am a primary teacher; partly because it makes it easier to track which question each group is on). I have a range of information that I arrange around the room. The information contains the answers for the questions, so there is no reason why all pupils can’t achieve. I have information on tables (maybe text books) and other information (from the internet) on walls, doors, and any other space I can find around the room. I provide all groups with the first question. They then need to answer this and either tell me or write it on an answer grid before showing me. If correct, I then hand over the next question. There are obviously many ways of doing this, but one way I like to engage the lower ability pupils in mixed ability groups is to assign them the job of telling me the answer. I normally give them some kind of title (e.g. ‘the question collector’), as this elevates their importance within the group, and seems to increase their competitiveness. Bizarrely, pupils don’t seem to realise that all they are doing is reading through information and answering questions, and instead become really engaged and extremely competitive. They really want to ‘win’ and beat all the other groups. They improve their skimming and scanning skills when it comes to finding the information; they learn what they need to know and are more likely to remember it as they will remember the activity. This activity allows them to take more responsibility for their own learning, increases independence and it is easy and quick for me to organise and facilitate. This is an example of a style of lesson that easily adapts to a range of topics and subjects and doesn’t take days of planning to arrange. With this type of activity, where I am trying to encourage effective teamwork, I will very often use a reflective activity at the end to evaluate how well they have individually participated, such as using raffle tickets, where I assign each group a number of raffle tickets or house points (more than children in each group) and they have to discuss who deserves them. I find pupils to be very honest and realistic when doing this, but obviously this takes some training. A few years ago, I attended an INSET with Chris Moyse (@ChrisMoyse) about independent learning. One of the things I took from it was the use of computers for research within lessons (I think pupils had been asked to find specific answers to questions). In the scenario given, pupils had to find answers to a range of questions in the context of a Science lesson and given the opportunity, pupils would go straight to the computer instead of accessing the other resources provided to find answers. Their skills when it came to the effective use of a search engine were slightly lacking and as a result, pupils who had opted to use the other resources provided (printed information and books) were far more successful in the task. A great focus in my teaching is in creating an environment that benefits and encourages independent learning, and in facilitating learning, without me constantly standing at the front talking at pupils. 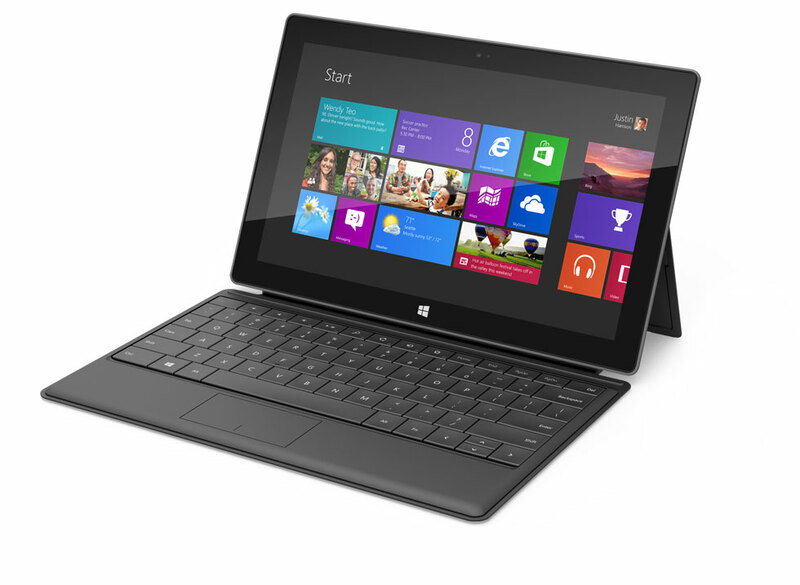 I am fortunate in that I have access to tablet computers for use in class, without having to relocate to a computer room. Bearing in mind what I learnt from Chris, in research-based lessons, I provide a range of resources (books, printed information, sometimes a list of websites etc.) but I also provide access to a few (2 or 3) tablet computers. Whilst sometimes I find that it is beneficial to provide each group with one or more tablets, in the type of lesson I refer to, I limit the time pupils can access the tablets for to a 5 minute period. (I provide stopwatches for timing, and if the IWB isn’t needed for other uses, I have the number of interactive stopwatches that I have tablet computers displayed on the board). 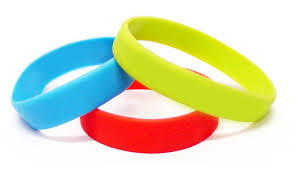 This means that all pupils in the class are aware when they can access the internet if they choose to. They write their names down on the board so there is an obvious order to the computer time, and groups can decide whether or not the use of the computer is beneficial to them. I often find that pupils initially opt for the internet, but soon find that their time is more effectively spent finding out the information in other ways. This idea has been developed from an idea in Talk-Less Teaching by Isabella Wallace and Leah Kirkman. I used it in the context of a SPAG lesson where Y6 pupils were answering test questions in preparation for the SATs test. In a previous lesson, pupils identified areas of weakness from mock SPAG tests and CGP grammar tests they had completed. 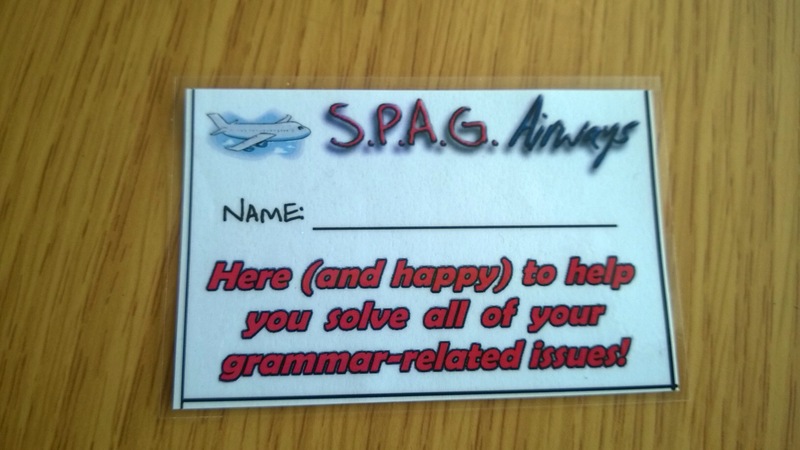 I gave them a boarding card with SPAG topics. They used the previous tests to help them identify areas they needed to focus on in this lesson. 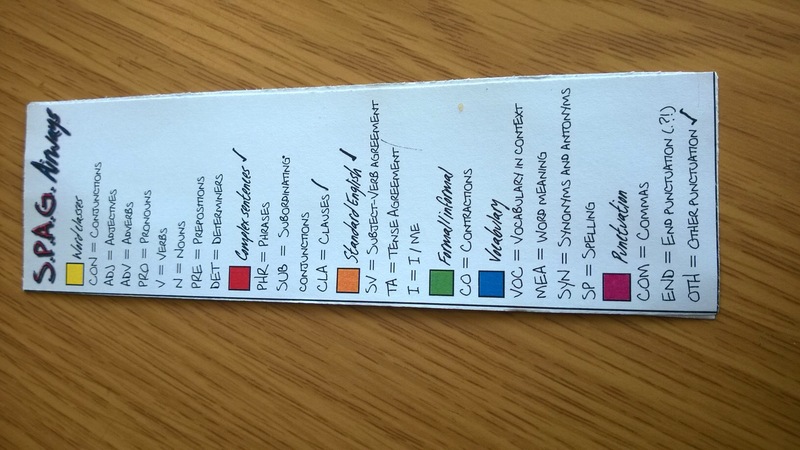 Each area was colour coded with the questions, which were laminated in the correct colours. I turned the classroom into an airport with 5 ‘airline staff’ who were children secure in L5 grammar. The rest of the class were ‘passengers’. All pupils had their boarding cards. They went to he staff to ‘check in their spaggage’ and were directed to a particular question type by the staff. The staff had all the answers, a grammar revision guide and a whiteboard and pen to help them resolve any misconceptions with passengers. Passengers completed a question, returned to the check-in desk, their form was initialled by staff and then passengers repeated the activity. Pupils had a form to fill in with the question number, topic, quick smiley face to show their understanding, and a column to say whether they needed further support with that particular topic. Before the end of the lesson, pupils again queued at the check-in desks to receive their landing card. This was almost exactly the same as their boarding card. Pupils could seek help from airline staff if necessary. 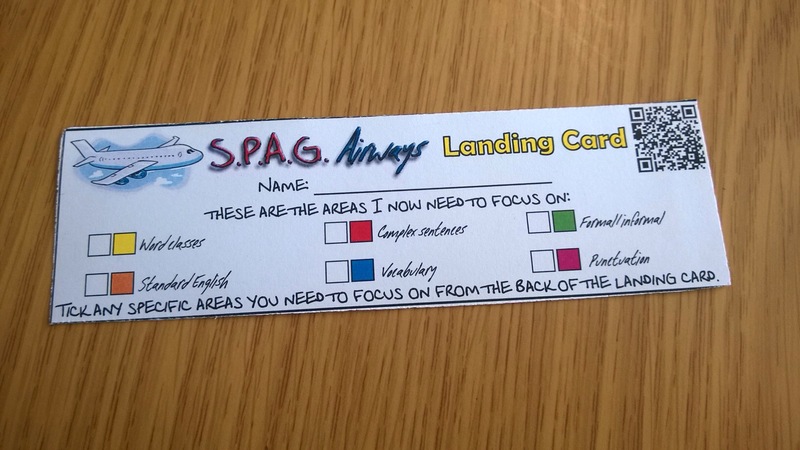 Using their form and boarding card, pupils ticked areas they needed further support with in future. Photocopier is an activity that is useful when you want a pupil to end up with a copy of something. This could be a map, a diagram, a piece of text, or anything that suits you. An example would be a science lesson where you want all pupils to have a diagram of a heart drawn with key words added. Pupils visit you as you have the only copy. You allow them to only see a small amount of the diagram or a key word before sending them back to their partner or group to draw a copy of it. Pupils return repeatedly until they have an accurate ‘photocopy’ of the diagram. It should include accurate spellings of key words and look the same as the original. This can be done individually or in pairs or groups easily. This type of activity works well when you want pupils to engage more with something perhaps when it would have been easy to just give them a photocopy in the first place. The repeated visits to the original and limited time should mean that pupils become competitive, wanting to complete their copy before their peers, in addition to having a greater understanding than they perhaps would have just by sticking in a sheet. 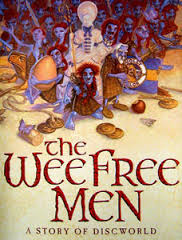 This idea is based on the Terry Pratchett book, The Wee Free Men, where teachers come to the village and set up lessons in tents. People then decide what education they want and gain education in return for vegetables and eggs. It is taken from an example lesson shown to me when I was studying for my PGCE at the University of Cumbria in Lancaster, but I can’t remember the name of the particular tutor. The more the class get used to these types of lessons, the better the results will be. Pupils become an ‘expert’ in a topic, e.g. Anglo Saxon homes. The class is split into several topics so you may have 4 or 5 pupils becoming experts in the same topic. Pupils use resources, e.g. 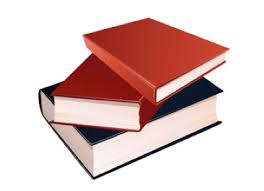 books, Internet printed information, Internet access to learn more about their topic. At the end of this time, they should be confident enough to teach others this topic. Tip:If you do this on a different day to the main carrot lesson, pupils may go home and research further on their topic. I set the classroom out with tables in a circle with one seat on each side of each table. I split the class into ‘teachers’ and ‘learners’ and half of the ‘teachers’ with a mixture of expertise on topics sit on the outside of the circle. The other half become ‘learners’. Learners have a sheet, booklet or book to collect information. Teachers have their original information and a whiteboard and whiteboard pen to help them with their teaching. I give each teacher 5 minutes to teach the learner sitting opposite them. When the time is up (I have a timer on the board) the learner moves on to learn about a different topic and the teacher teaches a new learner. I repeat this 4/5 times so that each learner has an opportunity to be taught each topic. When those teachers have taught, each pupil who has been learning the topics collects 5 laminated carrots. They then distribute their carrots however they choose to the teachers who have provided them with the best, most interesting education. They can give 5 to one teacher or 1 to each teacher. It is up to them but I always emphasise that carrots are for good education and not for friends! I also ask learners to ask their teachers questions. Pupils then switch roles. Teachers become learners; learners become teachers and the whole process is repeated. We collect the number of carrots on a ‘carrot spreadsheet’ so we can keep track of our carrots in each carrot lesson. The aim is that the next time we have a carrot lesson, they receive more carrots. Normally pupils realise that they didn’t use their initial ‘becoming an expert’ lesson effectively and in general pupils receive more carrots in a later lesson. For pupils who were absent in the initial ‘becoming an expert’ lesson are placed at an ‘information station’ – a table with resources about one of the topics – where they become an expert in that topic for the first part of the lesson. They are then able to become a teacher and earn carrots for the quality of education they are providing. For lower ability children, I pair them up with another child so that they are able to fully access the content of the lesson and don’t become disengaged. See lessons are particularly good for humanities topics but could be used in any way where pupils are required to learn about something in particular.